Chairman: Prof. J. Jane Sr. Response to: Comment on “Controversies about Interspinous Process Devices in the Treatment of Degenerative Lumbar Spine Diseases: Past, Present, and Future”. Zanotti B, Zingaretti N, Verlicchi A, Robiony M, Prof. Dr. med. Alex Alfieri, Parodi PC. J Craniofac Surg. 2016 Nov;27(8):2061-2072. Editorial: Peculiarities of unruptured internal carotid artery bifurcation aneurysms. Prof. Dr. med. Alex Alfieri, Török L.
Acta Neurochir (Wien). 2016 Nov;158(11):2061-2062. Failure rates and complications of interspinous process decompression devices: a European multicenter study. The intermedius nerve as a confounding variable for monitoring of the free-running electromyogram. Prell J, Strauss C, Rachinger J, Scheller C, Prof. Dr. med. Alex Alfieri, Herfurth K, Rampp S.
Use of tissue-glue-coated collagen sponge (TachoSil) to repair minor cerebral dural venous sinus lacerations: technical note. DTI-MRI biomarkers in the search for normal pressure hydrocephalus aetiology: a review. Interspinous spacer decompression (X-STOP) for lumbar spinal stenosis and degenerative disk disease: a multicenter study with a minimum 3-year follow-up. Controversies about interspinous process devices in the treatment of degenerative lumbar spine diseases: past, present, and future. Anterior skull base traumas and their management. Prof. Dr. med. Alex Alfieri, Strauss C.
Brissaud-Sicard syndrome caused by a diffuse brainstem glioma. A rare differential diagnosis of hemifacial spasm. Tacik P, Krasnianski M, Prof. Dr. med. Alex Alfieri, Dressler D.
Acta Neurochir (Wien). 2014 Feb;156(2):429-30. The relationship between nervus intermedius anatomy, ultrastructure, electrophysiology, and clinical function. Usefulness in cerebellopontine microsurgery. Prof. Dr. med. Alex Alfieri, Rampp S, Strauss C, Fleischhammer J, Rachinger J, Scheller C, Prell J.
Acta Neurochir (Wien). 2014 Feb;156(2):403-8. Facial nerve palsy after vestibular schwannoma surgery: dynamic risk-stratification based on continuous EMG-monitoring. Prell J, Strauss C, Rachinger J, Prof. Dr. med. Alex Alfieri, Scheller C, Herfurth K, Rampp S.
Therapeutic anticoagulation after craniotomies: is the risk for secondary hemorrhage overestimated? Scheller C, Rachinger J, Strauss C, Prof. Dr. med. Alex Alfieri, Prell J, Koman G.
D-dimer plasma level: a reliable marker for venous thromboembolism after elective craniotomy. Prell J, Rachinger J, Smaczny R, Taute BM, Rampp S, Illert J, Koman G, Marquart C, Rachinger A, Simmermacher S, Prof. Dr. med. Alex Alfieri, Scheller C, Strauss C.
“Triple R” tonsillar technique for the management of adult Chiari I malformation: surgical note. Galarza M, Gazzeri R,Prof. Dr. med. Alex Alfieri, Martínez-Lage JF. Accidental head trauma during care activities in the first year of life: a neurosurgical comparative study. Galarza M, Gazzeri R, Barceló C, Mantese B, Arráez C, Prof. Dr. med. Alex Alfieri, Cavazzana M, Gandini R, Porcar OP, Martínez-Lage JF. Comments on: Let’X-STOP with any “distraction” from the true problem: scenarios in which minimally invasive surgery is not welcome! Surov A, Gottschling S, Bolz J, Kornhuber M, Prof. Dr. med. Alex Alfieri, Holzhausen HJ, Abbas J, Kösling S.
Long-term results after posterior fossa decompression in syringomyelia with adult Chiari Type I malformation. Prof. Dr. med. Alex Alfieri, Pinna G.
J Neurosurg Spine. 2012 Nov;17(5):381-7. Safety biocompatibility of gelatin hemostatic matrix (Floseal and Surgiflo) in neurosurgical procedures. Eight-and-a-half syndrome combined with an ipsilateral vertical gaze palsy: a pathophysiological explanation. Erectile dysfunction as rare side effect in the simultaneous intrathecal application of morphine and clonidine. Koman G, Prof. Dr. med. Alex Alfieri, Rachingter J, Strauss C, Scheller C.
Paradoxical activity of the masseter muscles due to upper motoneuron involvement. Clin Neurol Neurosurg. Tacik P, Prof. Dr. med. Alex Alfieri, Funke AD, Stock K, Kornhuber M.
How many electromyography channels do we need for facial nerve monitoring? Rampp S, Rachinger J, Scheller C, Prof. Dr. med. Alex Alfieri, Strauss C, Prell J.
J Clin Neurophysiol. 2012 Jun;29(3):226-9. The nervus intermedius as a variable landmark and critical structure in cerebellopontine angle surgery: an anatomical study and classification. Prof. Dr. med. Alex Alfieri, Fleischhammer J, Peschke E, Strauss C.
Acta Neurochir (Wien). 2012 Jul;154(7):1263-8. Role of lumbar interspinous distraction on the neural elements. Prof. Dr. med. Alex Alfieri, Gazzeri R, Prell J, Scheller C, Rachinger J, Strauss C, Schwarz A.
Neurosurg Rev. 2012 Oct;35(4):477-84; discussion 484. The woman of Pritschoena: an example of the German neolithic neurosurgery in Saxony-Anhalt. Prof. Dr. med. Alex Alfieri, Strauss C, Meller H, Stoll-Tucker B, Tacik P, Brandt S.
Gasperini’s syndrome: its neuroanatomical basis now and then. Tacik P, Prof. Dr. med. Alex Alfieri, Kornhuber M, Dressler D.
The central myelin-peripheral myelin transitional zone of the nervus intermedius and its implications for microsurgery in the cerebellopontine angle. Prof. Dr. med. Alex Alfieri, Fleischhammer J, Strauss C, Peschke E.
The potential of quantified lower cranial nerve EMG for monitoring of anesthetic depth. Prell J, Rampp S, Ache J, Laule S, Rachinger J, Scheller C, Prof. Dr. med. Alex Alfieri, Strauss C.
J Neurosurg Anesthesiol. 2012 Apr;24(2):139-45. A prospective long-term study of return to work after nontraumatic nonaneurysmal subarachnoid hemorrhage. Prof. Dr. med. Alex Alfieri, Gazzeri R, Pircher M, Unterhuber V, Schwarz A.
J Clin Neurosci. 2011 Nov;18(11):1478-80. Familial occipital neuralgia with sporadic nervus intermedius neuralgia (NIN). Simple intraoperative technique for minor dural gap repair using fibrin glue and oxidized cellulose. Gazzeri R, Galarza M, Prof. Dr. med. Alex Alfieri, Neroni M, Roperto R.
Tumor origin and hearing preservation in vestibular schwannoma surgery. Rachinger J, Rampp S, Prell J, Scheller C, Prof. Dr. med. Alex Alfieri, Strauss C.
Acute diffuse pneumocephalus resulting from chronic intranasal cocaine abuse. Gazzeri R, Galarza M, Prof. Dr. med. Alex Alfieri, Fiore C.
Acta Neurochir (Wien) 2011 Oct;153(10):2101-2. Anterior expandable cylindrical cage reconstruction after cervical spinal metastasis resection. Prof. Dr. med. Alex Alfieri, Gazzeri R, Neroni M, Fiore C, Galarza M, Esposito S.
CO(2)-Dependent vasomotor reactivity of cerebral arteries in patients with severe traumatic brain injury: time course and effect of augmentation of cardiac output with dobutamine. Haenggi M, Andermatt A, Anthamatten C, Galimanis A, Mono ML, Prof. Dr. med. Alex Alfieri, Fung C, Takala J, Jakob SM. J Neurotrauma. 2012 Jun 10;29(9):1779-84. Midline-craniotomy of the posterior fossa with attached bone flap: experiences in paediatric and adult patients. Prell J, Scheller C, Prof. Dr. med. Alex Alfieri, Rampp S, Rachinger J.
Acta Neurochir (Wien). 2011 Mar;153(3):541-5. Low-back pain as the presenting sign in a patient with a giant, sacral cellular schwannoma: 10-year follow-up. Prof. Dr. med. Alex Alfieri, Campello M, Broger M, Vitale M, Schwarz A.
J Neurosurg Spine. 2011 Feb;14(2):167-71. Glue-enhanced excimer laser-assisted nonocclusive anastomosis: a laboratory investigation. Prof. Dr. med. Alex Alfieri, Reinert M.
Surgical treatment of intracranial Erdheim-Chester disease. Prof. Dr. med. Alex Alfieri, Gazzeri R, Galarza M, Neroni M.
J Clin Neurosci. 2010 Dec;17(12):1489-92. Hemostatic matrix sealant in neurosurgery: a clinical and imaging study. Gazzeri R, Galarza M, Neroni M, Prof. Dr. med. Alex Alfieri, Giordano M.
Acta Neurochir (Wien). 2011 Jan;153(1):148-54; discussion 155. Botulinum toxin for temporary corneal protection after surgery for vestibular schwannoma. Prell J, Rampp S, Rachinger J, Scheller C, Prof. Dr. med. Alex Alfieri, Marquardt L, Strauss C, Bau V.
History of the nervus intermedius of Wrisberg. Prof. Dr. med. Alex Alfieri, Strauss C, Prell J, Peschke E.
Ann Anat. 2010 May 20;192(3):139-44. A real-time monitoring system for the facial nerve. Prell J, Rachinger J, Scheller C, Prof. Dr. med. Alex Alfieri, Strauss C, Rampp S.
Neurosurgery. 2010 Jun;66(6):1064-73; discussion 1073. Transparent equine collagen biomatrix as dural repair. A prospective clinical study. Gazzeri R, Neroni M, Prof. Dr. med. Alex Alfieri, Galarza M, Faiola A, Esposito S, Giordano M.
Minimal craniotomy and matrix hemostatic sealant for the treatment of spontaneous supratentorial intracerebral hemorrhage. Gazzeri R, Galarza M, Neroni M, Prof. Dr. med. Alex Alfieri, Esposito S.
Psychosocial and neurocognitive performance after spontaneous nonaneurysmal subarachnoid hemorrhage related to the APOE-epsilon4 genotype: a prospective 5-year follow-up study. Automated end-to-side anastomosis to the middle cerebral artery: a feasibility study. Bregy A, Prof. Dr. med. Alex Alfieri, Demertzis S, Mordasini P, Jetzer AK, Kuhlen D, Schaffner T, Dacey R, Steiger HJ, Reinert M.
Intradural cervical disc herniation in a Klippel-Feil patient. Spine (Phila Pa 1976). 2007 Oct 1;32(21):E608-10..
Fulminating septicemia secondary to oxygen-ozone therapy for lumbar disc herniation: case report. Spine (Phila Pa 1976). 2007 Feb 1;32(3):E121-3. Effect of laser soldering irradiation on covalent bonds of pure collagen. 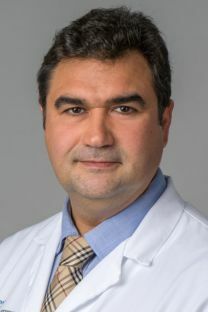 Constantinescu MA, Prof. Dr. med. Alex Alfieri, Mihalache G, Stuker F, Ducray A, Seiler RW, Frenz M, Reinert M.
Lasers Med Sci. 2007 Mar;22(1):10-4. The management of patients with intradural post-traumatic mass lesions: a multicenter survey of current approaches to surgical management in 729 patients coordinated by the European Brain Injury Consortium. Renal cell carcinoma and intradural spinal metastasis with cauda equina infiltration: case report–part II. Prof. Dr. med. Alex Alfieri, Mazzoleni G, Schwarz A, Campello M, Broger M, Vitale M, Vigl EE. Spine (Phila Pa 1976). 2005 Jan 15;30(2):260-2. Renal cell carcinoma and intradural spinal metastasis with cauda equina infiltration: case report. Spine (Phila Pa 1976). 2005 Jan 1;30(1):161-3. Adenosine extracellular levels in human brain gliomas: an intraoperative microdialysis study. Neurosci Lett. 2003 Jul 31;346(1-2):93-6. Melani A, De Micheli E, Pinna G, Prof. Dr. med. Alex Alfieri, Corte LD, Pedata F.